Hot rolled sections can achieve very high modulus by connecting steel pipes,king piles or other sheet piles. Tubular combined walls are sheet piles and steel pipes connected by C9 or C6 interlocks. HZ and HZM king piles can also be connected by RZD,RZU,RH 16 and 18 connectors. Sheet piles can form box sheet piles also. Hot forming interlock tends to be tighter and have better water tighter performances.There are also other types of connectors, like Corus sections, Hoesch Frodingham type, socket and ball etc. 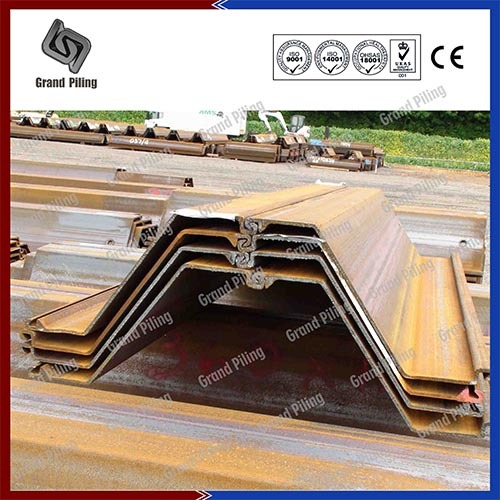 There are many steel grades for hot rolled steel sheet piling: In EN 10248, there are S240GP, S270GP, S320GP, S355GP, S390GP, S430GP, S460AP steel grades. Hot rolled steel sheet piles are also called larssen sheet piling, which are manufactured from hot steel billets, with shapes and interlocks already formed gradually during the forming process.Hot forming interlock tends to be tighter and have better water tighter performances.There are also other types of connectors, like Corus sections, Hoesch Frodingham type, socket and ball etc. Larssen sheet piling can be classified by the profiles and specifications: U type, Z sections and straight web profile sheet piles. Hot rolled sections can achieve very high modulus by connecting steel pipes, king piles or other sheet piles. Tubular combined walls are sheet piles and steel pipes connected by C9 or C6 interlocks. 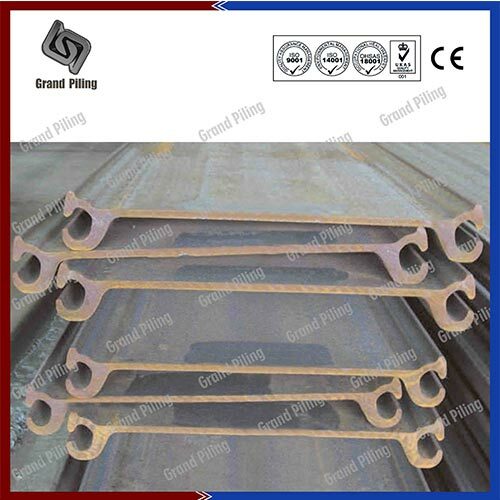 HZ and HZM king piles can also be connected by RZD, RZU, RH 16 and 18 connectors. Sheet piles can form box sheet piles also. Hoesch sheet pile are also interlocking sheet pile, including AU, PU, GU, Larssen profiles, VL specification, AZ dimensions, AS sizes etc. 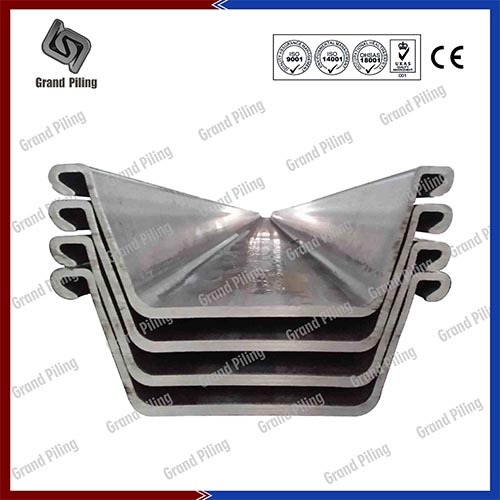 There are many steel grades for hot rolled steel sheet piling: In EN 10248, there are S240GP, S270GP, S320GP, S355GP, S390GP, S430GP, S460AP steel grades. And recently there are corrosion resistant steel grade for marine applications:MLoCor Blue 320, Blue355, Blue390. In American ASTM standard, there are A36, A 328, A572 grade 42/50/55/60/65, A588 and marine grade A690. In Japan, there are SY295, SY390, SYW295, SYW390 in JIS A 5523 and JIS A 5528 standard.